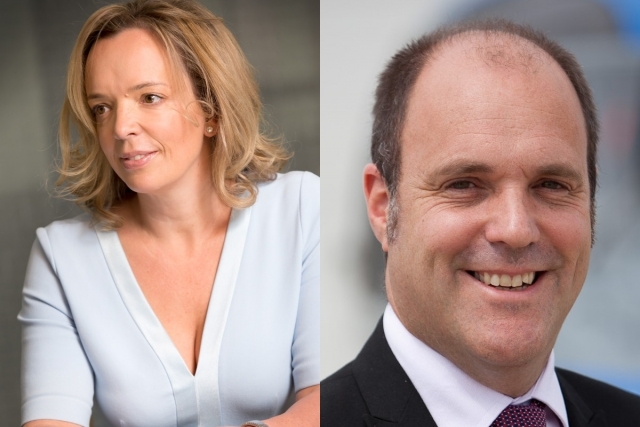 The British Business General Aviation Association has elected Aoife O’Sullivan, Partner and co-founder of The Air Law Firm, as its new Chair and Alex Durand, CEO of aircraft charter and management company SaxonAir as Vice Chair, a new role, effective immediately. Aoife takes over from Marwan Khalek who has held the position for eight years. His company Gama Aviation Plc has been closely involved with BBGA and its predecessor GAMTA since Gama’s start in 1983. Marwan announced his decision to step down at the AGM at Luton Hoo last month, highlighting it was time for a successor. Thanking Marwan for his sterling work over the years, Marc Bailey, BBGA CEO welcomed the new leadership. “In Aoife and Alex we have a strong duo with complementary talents to take our Association forward,” he said. “I’d like to thank the Board for their confidence in voting for me. Marwan leaves big shoes to fill and I am looking forward to working with Alex, Marc, the BBGA Directorate and BBGA’s 18-strong Board of Directors in helping to shape the future direction of the Association,” commented Aoife O’Sullivan. “BBGA is the largest of the national associations and with the UK the second largest market for business aviation not only in the number of aircraft tails supported but our aviation services businesses and all manner of supporting suppliers and specialists, we would like to see more UK businesses take up membership,” she added. Expanding the membership, as well as widening it out with some innovative categories is also on the agenda for the new leadership. Aoife will serve for an initial three-year term. At EBACE in Geneva May 21-24th BBGA will be represented by BBGA CEO, Marc Bailey. BBGA is the UK’s national trade body representing business and general aviation. Now in its 46th year, (formerly known as GAMTA) its member companies span all facets of the business aviation sector. It represents 170-plus companies, including airports, corporate flight departments, operators, aviation services organisations and aircraft manufacturers. In a partnership with EBAA, all members of BBGA enjoy dual membership of both associations, similarly any UK based organisation seeking to join EBAA do so via BBGA. BBGA is based at Dorton, Aylesbury, Bucks.